This week Google made developers around world excited by lowering cost across Compute Engine instances. 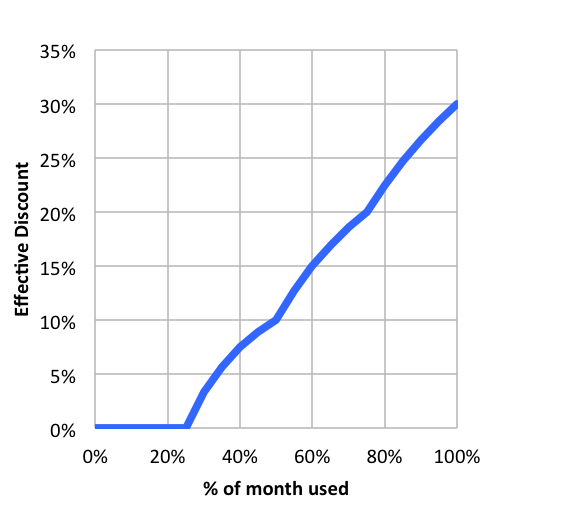 Generally it costs approximately 20 - 30 % less to run your Compute Instance on Google's cloud. At the same time company announced Preemptible Virtual Machines with very friendly pricing. This new class of compute available at 70% off standard pricing is ideal for batch jobs or increase in compute capacity for fault tolerant apps. It is the latest attempt to compete with Amazon Spot instances. "Today we are introducing Google Compute Engine Preemptible Virtual Machines, in beta for all customers in all regions. Preemptible VMs are the same as regular instances except for one key difference - they may be shut down at any time. While that may sound disruptive, it actually makes them a great choice for distributed, fault-tolerant workloads that do not require continuous availability of any single instance." Google is trying to make life easier for startups and larger companies alike by providing access to the same technology Google uses to power its own massively popular web site. Preemptible VMs are limited to a 24 hour runtime, and will sometimes be preempted (shut down) earlier than that. Other than that you get all the same features of Google Compute Engine, such as fast and easy provisioning, consistently great performance, and always encrypted data written to persistent disk. When Preemptible Instances are terminated, they will receive a 30 second notice allowing you to shutdown cleanly. Tasks like video encoding, rendering for visual effects, crunching huge amounts of information for data analytics, simulation, and genomics are all ideally suited for this type of Virtual Machine, as they generally consume a large volume of compute resources but typically only run on a periodic basis. Google has continued its commitment to Moore's Law-linked pricing, with another round of price cuts for its cloud service. It is second price cut in last 12 months. It keeps it's promisse that it would pass the savings on to customers as its costs fell. Compared to other public cloud providers, Google Cloud Platform became roughly 40% less expensive for many workloads. Starting May 18, Google is reducing prices of all Google Compute Engine Instance types as well as introducing a new class of preemptible virtual machines that delivers short-term capacity for a very low, fixed cost. When combined with our automatic discounts, per-minute billing, no penalties for changing machine types, and no need to enter into long-term fixed-price commitments, it's easy to see why we're leading the industry in price/performance. Google also offer substantial discounts for sustained use of your instance. To qualify you need to use it a significant portion of the billing month, at least 25% of a month. Without sustained use discounts, the same n1-standard-1 instance running for the same amount of time would cost 20% more. If we consider a typical web application or mobile backend we can demonstrate typical usage of Google platform and savings it brings. App development environment supports software builds and tests, presenting a bursty, daytime load on cloud computing resources. The development environment would benefit from per-minute billing because it can be turned on and off more quickly and you only pay for what you use. The production environment handles actual user traffic, with a diurnal cycle of demand, aggregate growth over time, and a larger overall footprint than the development environment. The production environment would benefit from *sustained use discountin*g, up to 30% additional discount with no upfront fee or commitment, because it always needs to be on. Pay Less, Compute Moore - Google press release. Amazon EC2 Spot Instances - Spot Instances allow you to name your own price for Amazon EC2 computing capacity. You simply bid on spare Amazon EC2 instances and they run whenever your bid exceeds the current Spot Price.